It’s here! 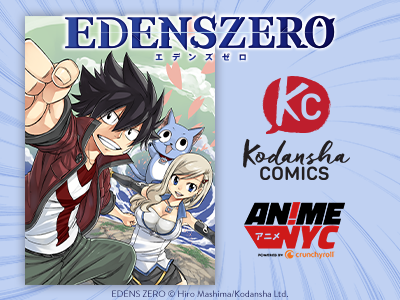 The creator of Fairy Tail, manga superstar Hiro Mashima, is back with a high-flying space adventure! All the steadfast friendship, crazy fighting, and blue cats you’ve come to expect … in space! A young boy gazes up at the sky and sees a streaming bolt of light. The friendly, armor-clad being at his side tells him gently, “That’s a dragon.” The fact that he’s joking isn’t important. What’s important is the look of wonder on the boy’s face … and the galaxy-spanning adventure that’s about to take place! 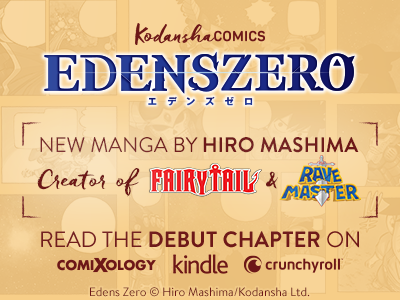 Join Hiro Mashima (Fairy Tail, Rave Master) once more as he takes to the stars for another thrilling saga! 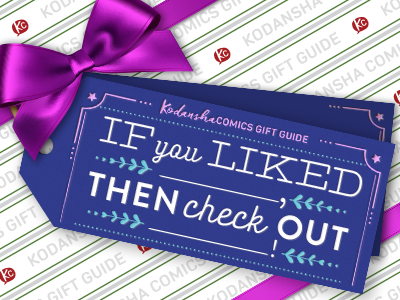 Kodansha Comics Gift Guide Part 2: If you liked ___, then check out ___! 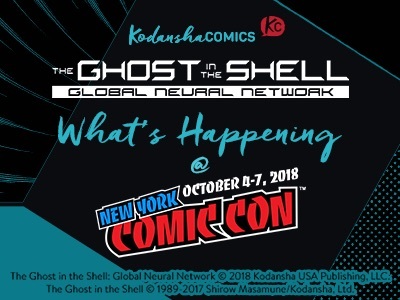 Announcements from New York Comic Con 2018! 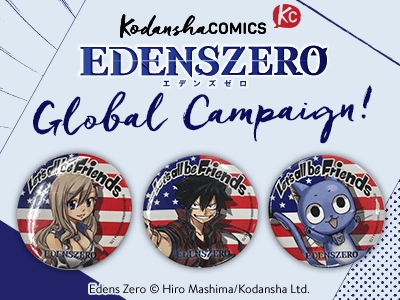 EDENS ZERO Global Pins! 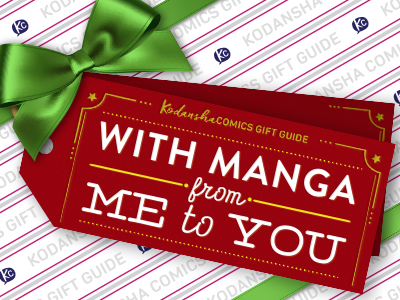 Exclusive designs revealed + special message from Hiro Mashima! 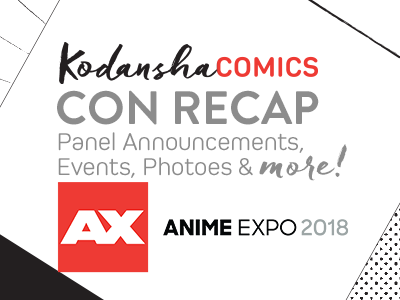 AX2018 Recap: a summary of all our new licensing announcements and more! 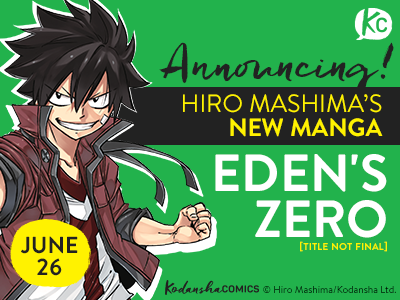 New Hiro Mashima manga Eden’s Zero debuts worldwide June 26!